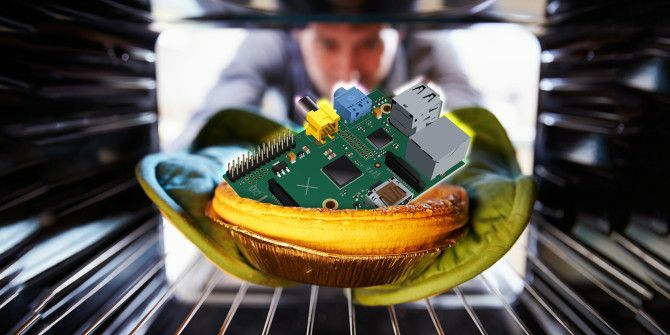 You probably know how much we love the Raspberry Pi here at MakeUseOf. Over the years we’ve shown you how to use it in smart home projects Getting Started with OpenHAB Home Automation on Raspberry Pi Getting Started with OpenHAB Home Automation on Raspberry Pi OpenHAB is a mature, open source home automation platform that runs on a variety of hardware and is protocol agnostic, meaning it can connect to nearly any home automation hardware on the market today. Read More , as a video game emulator 5 Retro Gaming Projects with the Raspberry Pi Zero 5 Retro Gaming Projects with the Raspberry Pi Zero The Raspberry Pi Zero has taken the DIY and homebrew world by storm, making it possible to revise old projects and inspiring newcomers, especially in the fevered minds of retro gaming fans. Read More , and even as the heart of a stop-motion movie studio Make a Stop Motion Video Rig with a Raspberry Pi Make a Stop Motion Video Rig with a Raspberry Pi You don't need high end equipment to make your own movie: in this age of high resolution digital cameras or smartphones, anyone can have a go. Read More . But the device is not perfect. While it is simple enough to use the NOOBS installer to get one or more operating systems installed (particularly Raspbian), your first boot can be difficult, usually requiring the use of a mouse, keyboard and monitor to configure it. What if you could configure Raspbian before you booted your Raspberry Pi? Wouldn’t it be great to have the wireless network set up in advance, or configure some other options so that the Pi and its preferred OS work right out of the box? The solution is PiBakery, a superb block-based configuration tool for Windows and Mac computers (a Linux version is in development) by 17-year-old David Ferguson, whose explanation as to why he created this tool is one of those “Duh — why didn’t anyone else do this already? !” moments. The idea for PiBakery came about when I went to a Raspberry Pi event. I needed to connect my Pi to the network there, but didn’t have a monitor, keyboard, and mouse. I needed a way of adding a network to my Raspberry Pi that didn’t require booting it up and manually connecting. If you’ve already made an SD card using PiBakery, you can insert that card back into your computer, and keep editing the blocks to add additional software, configure new wireless networks, and alter different settings. The significance of this to Pi users old and new should not be understated. You can find PiBakery at www.pibakery.org — head there now to download the correct version for your computer and install it. It’s around 1 GB, so may take a while, but remember that it has a full copy of Raspbian Jessie 5 Ways New Raspbian Jessie Makes Raspberry Pi Even Easier to Use 5 Ways New Raspbian Jessie Makes Raspberry Pi Even Easier to Use Following the release of Debian Jessie in July, the Raspberry Pi community has been blessed with a new release of the Raspbian variant, based on the "parent" distro. Read More bundled in with it. Windows users will find that the SmartScreen service initially blocks the installation, so click on More info > Run anyway. (This works for Windows 8 and Windows 10, but on Windows 7 simply click Yes.) Incidentally, if Windows SmartScreen is unavailable, as it was for us, click the Run option. Within a few moments you should have a copy of PiBakery running on your computer. Spend a few moments looking at the interface; you’ll notice the menu down the left, which holds the commands. These can be dragged into the work area, and instructions added. You’ll also notice the Import, Export, and Write tools across the top. We’ll take a look at those later. For now, it’s time to configure Raspbian just the way you want it! A common problem with the Raspberry Pi is the issue of connecting to a new wireless network without a keyboard and mouse. Even using SSH, you need the device to be connected to an Ethernet cable first. 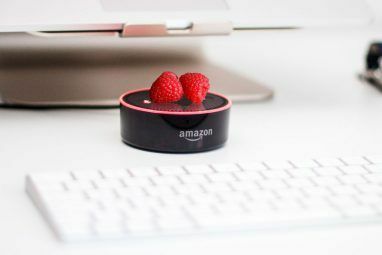 With PiBakery, you can easily circumvent this problem by pre-configuring the wireless network connection. Get started by opening Startup and dragging On First Boot into the right pane. To this, add Network > Setup Wi-Fi. To configure this, you’ll need to click into the Network: field and add the name of the wireless connection. A password will also be required; add this to the Pass: field. You can also change the network authentication Type. Now, it’s also worth changing your password at this stage. Consider the example above. But the utility’s designer. 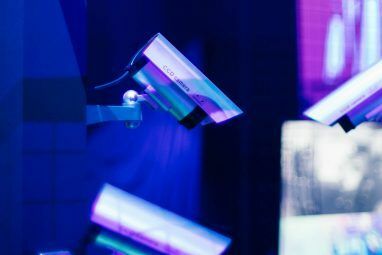 If you’re out in public with your Pi, want to connect to a network, and haven’t changed the default password, then this is obviously a security risk, so open Settings and drag the Set user password to: block into the work area, adding a new password. When you’re done, open Other, and add Reboot to the program. Once saved, these instructions will be added to the initial boot. Before you do this, however, click Export to save them somewhere safe. You can use the instructions in future via the Import command. This configuration file, saved in XML format, can be used on any computer, so you might share it with friends and collaborators! There’s more to this than pre-configured passwords and network connections, however. PiBakery also makes it possible for you to install software. For instance, you can use the Programs > Install Package: option for this, specifying a package name for an application you would like to use on your Pi. Some pre-defined options are available here, too. The Install Apache/PHP/MySQL block configures the installation of the tools to turn your Pi into a LAMP server, for instance. You might be happier having the computer pre-configured as a VNC server How to Run a Remote Desktop on Raspberry Pi with VNC How to Run a Remote Desktop on Raspberry Pi with VNC What if you need access to the Raspberry Pi desktop from your PC or laptop, without having to plug in a keyboard, mouse and monitor? This is where VNC comes in. Read More , however. Note that these options in Programs require the network connection to have been configured! Meanwhile, use the Other category to drag blocks into place if you wish to run commands or Python scripts. These are best placed under the On Every Boot block. Finally, if you’re using the Pi Zero Getting Started with Raspberry Pi Zero Getting Started with Raspberry Pi Zero Whether you bought a magazine with one glued to the front, or found a kit online, the chances are you're now the proud owner of a $5 computer: the Raspberry Pi Zero. 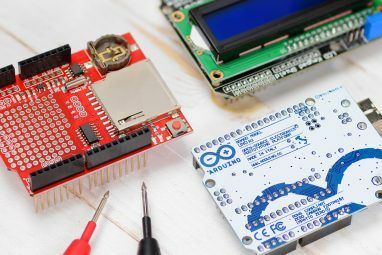 Read More , take a look at the Pi Zero OTG options, which enable you to specify how the USB connector is going to be used. It can be used for mass storage, MIDI, and even be disabled. It really is all up to you. Remember to save with the Export command before proceeding! Now you’re done dragging blocks, it’s time to create your Raspbian disk image. All you need to do is insert a blank microSD card (or SD card if yours is an early Raspberry Pi) and click Write. You’ll be prompted to select the SD card form a drop-down menu. Once this is done, click Start Write, and Raspbian will be written to the card, complete with the configuration you created. When complete, safely remove your SD card, return it to your Raspberry Pi, and boot. Raspbian should load up, complete with the configuration you specified in place! Perhaps the most remarkable thing about PiBakery is the ability to edit the configuration even after it has been used on your Raspberry Pi. To do this, clear any blocks in the PiBakery work area, then insert the SD card. A new button will appear on the menu bar, Update. Click this to open the configuration currently saved to the SD card. Note here that if the Pi has been booted, anything configured as On First Boot will not be present. These changes have already been instructed and applied, so cannot be edited. You’ll now be able to edit the configuration. Remember to save with the Export tool if you wish to retain the configuration for future Raspbian installations. PiBakery is undoubtedly the most important Raspberry Pi tool since the NOOBS installer How NOOBS For Raspberry Pi Can Help First Time Users How NOOBS For Raspberry Pi Can Help First Time Users There is something about the Raspberry Pi that might just put people off: until now, setting it up has not been particularly user friendly. NOOBS aims to change that! Read More , and makes the job of pre-configuring Raspbian absolutely effortless. No more wireless networking issues! A compact LAMP box ready and waiting for you on first boot — the advantages of this are endless. The developer is busy adding new features, too, single-handedly revolutionizing how Pi users setup and use their computers. Have you tried PiBakery? Would you like to see it expanded to other Pi-friendly operating systems? Tell us in the comments. Thanks so much for your excellent article - I'm really glad that you like PiBakery! You've made a really good guide for people to follow to use PiBakery. If anyone has any questions I'd be more than happy to answer them, either here in the comments, or you can tweet @PiBakery on twitter.